Some of you know that we have done a far amount of sequencing over the years over on the IMMusic side of things. Just found out that the DAW we have used pretty much forever has been shut down. We know that some of you are also customers of Cakewalk. Here’s what we know at this point. ← Another New OAX800 Owner! 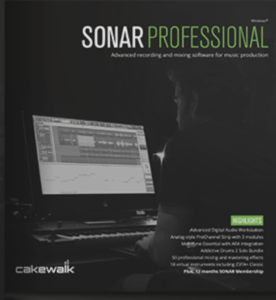 I’ve been a Cakewalk user for over 20 years. Same here for us. Started on something like Cakewalk 3.0. Maybe 2.x? Can’t remember but it was a long time ago. Even though what we have will continue to run don’t really want to stay on an unsupported platform. Not sure where I will go next. Ric runs Logic-Pro on a Mac so it would make things easier to share back -n- forth If I was running the same thing but a very costly change in both h/w and s/w.